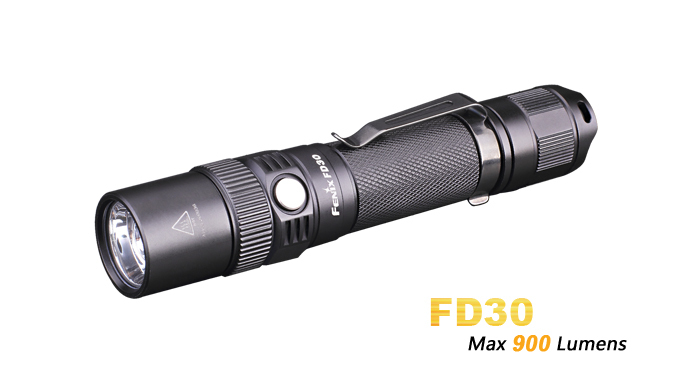 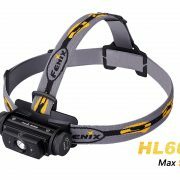 Fenix FD30 focusing flashlight, O-ring for water seal, Holster, Lanyard, Spare rubber switch boot, Body clip. 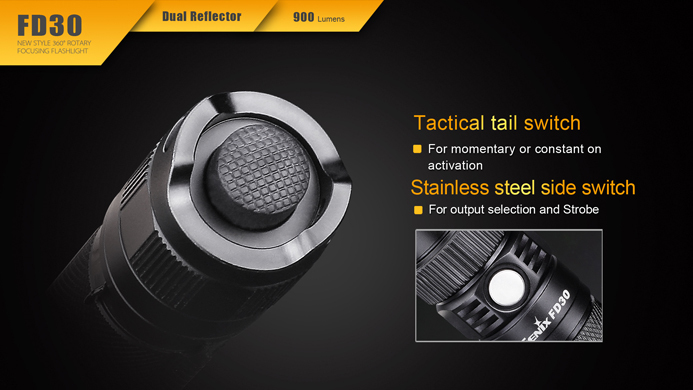 Click the tactical switch to turn on the light constantly, click once again to switch off the light. With the light on, by single clicking the functional switch continually, the light will cycle through Turbo→Eco→Low→Med→High. The factory default will be total floodlight. 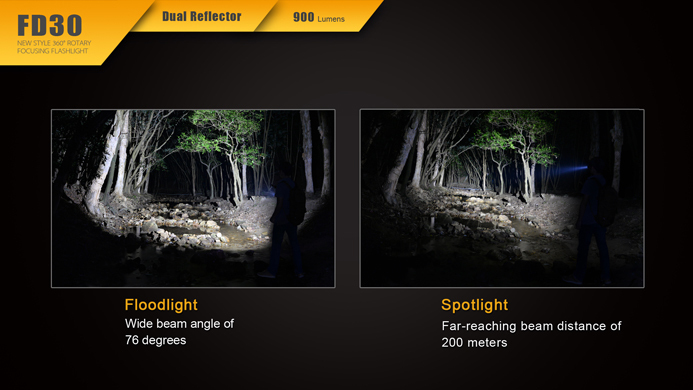 Rotate the focusing ring to regulate the dual reflector, thus changing between spotlight and floodlight. 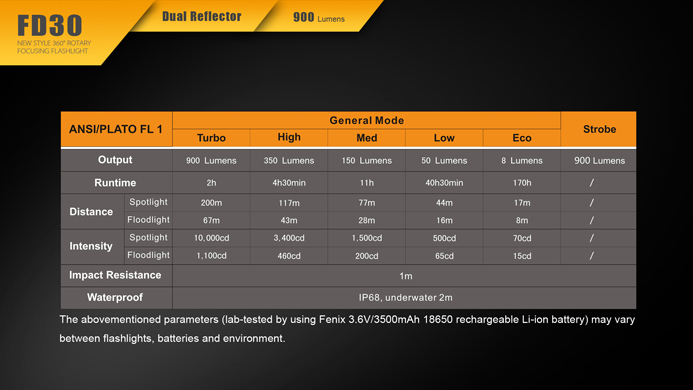 The light will accumulate a lot of heat when Turbo output level is repeatedly selected for extended periods. 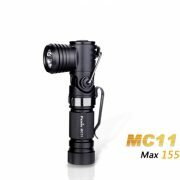 If the light reaches a temperature of 65℃, it will automatically downshift to High output level. 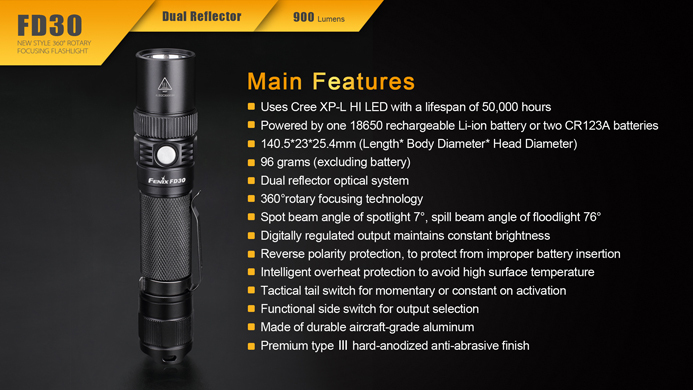 Turbo can be reselected if needed, but service life could be shortened or the flashlight could be damaged permanently. 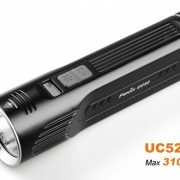 When the voltage level drops below the preset level, the flashlight is programmed to downshift to lower brightness levels until Low output is reached. 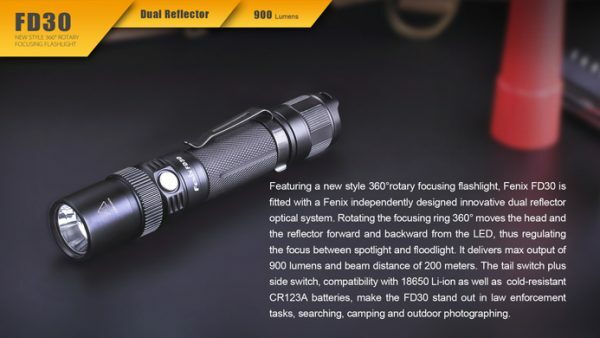 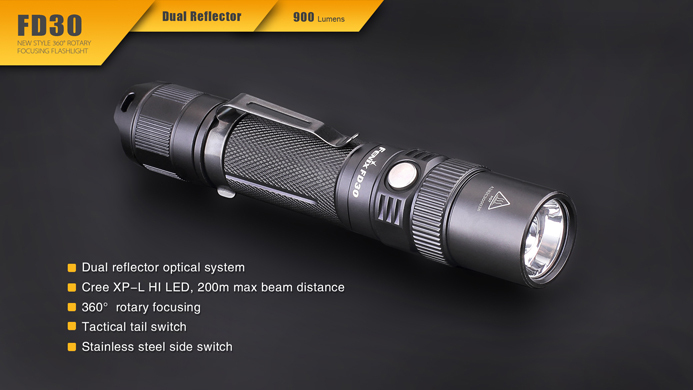 When Low output mode is reached, the flashlight blinks three times every five minutes to remind you to charge the light or replace the battery. 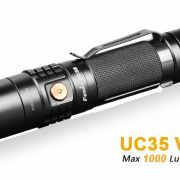 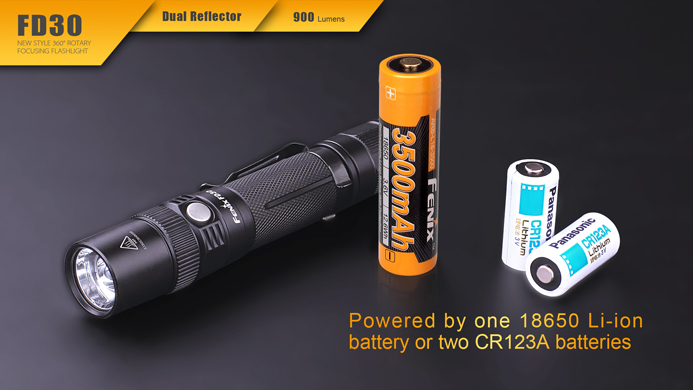 To ensure normal use, the flashlight will not turn off and will work until the battery is completely discharged.